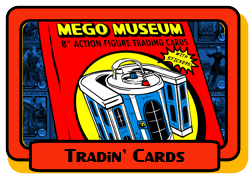 I have not followed the new Mego cards releases in the last few years...so, a part from Zorro, are there any new MM cards? Were 91-98 released, or just 99 to date? Museum cards 91-98 WOZ was released at Mego meet along with card #100 Mystery Man.